Where All Light Tends to Go. This young novelist shows tremendous promise in his debut. The action is placed quite specifically in the southern part of Jackson County, NC where the author has worked since wrapping up his undergraduate studies a few years ago. His depictions of the mountain setting and the still relatively isolated culture enfolded therein are dark but lovely. We get a heavy sense of grim fate engulfing Jacob McNeely, the teenaged antihero narrator... something of the concept Joy's mentor Ron Rash speaks of as "landscape as destiny". There are passages where Joy's prose approaches the elegance of McCarthy or Woodrell in their more lyrical digressions, but for the most part the narrative is in a gritty vernacular that is pretty damn harsh but rings true. 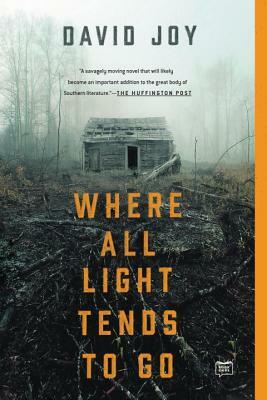 Joy proves to be an up-and-coming voice in southern noir lit.